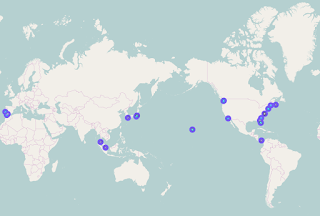 (2018-12-16 Edit) The purpose of the secrecy around the locations of US Navy SSNs, SSGNs, and SSBNs is operational security; OPSEC. You don't want to tell an adversary where the submarines are, so you don't jeopardize their mission. The safety of those submarines, and their submariners, is of paramount importance to everyone. 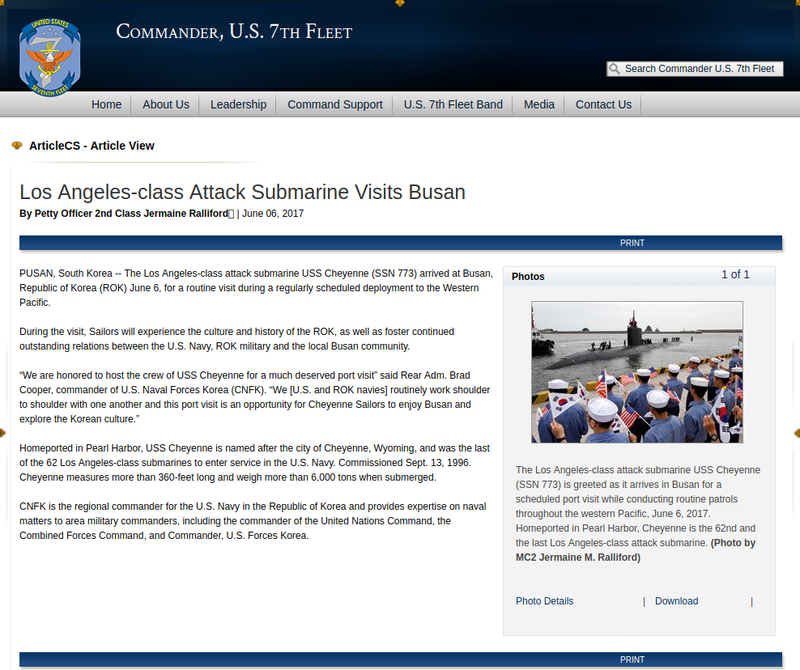 My objective in highlighting the following is to raise awareness that the supposed secrecy surrounding those deployments does not to hide their area of deployment from the Chinese Navy, North Korean Navy, or the Russian Navy; it hides or obfuscates their deployments from the collective knowledge of the American people, who happen to pay for the US Navy though their taxes. The technique I'm going to show you suggests that they are not hiding, and know it. I speculate they are not spoken openly about for political, rather than OPSEC, reasons. The US Navy themselves post to official US Navy web pages and social media about US Navy submarine deployments; the screenshots embedded are proof of that, in case you hadn't noticed these posts before, or are not following the US Navy on social media. 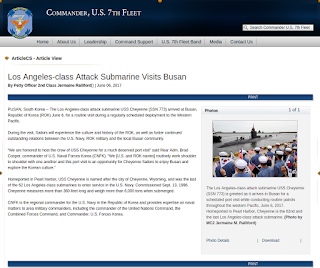 Unlike the leaks to Fox News from Pentagon sources and other news organisations around the positions of the Russian Navy AGI Viktor Leonov, which were derived from US Navy intelligence sources and clearly Secret, if not Top Secret, these are public displays of the US Navy's ability to project power to the other side of the globe. The transponders being on, and the press releases, are all shows of force. I do not want anyone to think the transponders on these subs are being used naively or in any incompetent fashion by the US Navy, or they're "forgetting" that they turn them on and off; all of this is extremely well known by the commanding officer of the submarine and the rest of the crew. The decisions related to who to tell or not tell in the public sphere are solely made at the Pentagon. Submarines are stealthy by nature, and have the capability to remain hidden for an extended trip into hostile waters; that these submarines are turning up on AIS indicates the US Navy feels it doesn't have to hide these particular submarines at these specific times. You'll notice very few SSBN "Boomers" on the list, since they do not show up very often at all; their areas of operation are more secret than the attack submarines. I presume this difference is directly related to their vital role in the nuclear triad; they must stay hidden. This difference again demonstrates it isn't that the US Navy can't keep a secret, SSN deployments just aren't universally as secret as they may seem to be. Much like the NORAD interceptions of Russian Long Range Aviation flights, or Russian Open Skies Treaty overflights of the United States, the military is under no obligation to share information about these operations with the public, and by policy doesn't. NORAD does not announce when they intercept Russian Long Range Aviation flights; the only time you hear them on the news is when information is leaked by someone (read: officials at the Pentagon). The USAF doesn't announce when Russian Open Skies Treaty overflights are going on. Those flights are not secret, as evidenced by their transponders being on, and as they are announced in advance in the Russian news media. Again, the silence is political. The following spreadsheet should help you match the Maritime Mobile Service Identity (MMSI), which the submarine transponder identifies itself as, with the true name of the submarine. They usually identify themselves with a generic name like "submarine" or "us submarine"; with a little data aggregation we can fix that. Special thanks to @lala_zet (どうもありがとうございました) who posted their MMSI / name correlations as well. The MMSI-name correlations I didn't have, I copied, and the ones I had previously, I was able to confirm. Some of the below, but not all, can be tracked on MarineTraffic.com, if this interests you. The corresponding MMSIs can only be considered "best-guess" in terms of accuracy. We will bury you (in data) - Russian Navy Yantar backgrounder and Summer 2016 Trip Report. I read the modern propaganda being parroted on social media. Twitter accounts allege to have seen or heard things on the news, with no precise source, but claim it sounded "right", and according to their bias, they believe it to be true. This cycle repeats itself almost daily. It's disappointing, and disheartening, especially when the media is routinely misled by sources who so boldly mislead them. Some (even many) journalists aren't aware at the time, and sometimes are never aware that they've been lied to. Unsuspecting people will parrot the information they get from the media, who are just reporting what they were told, from sometimes-trustworthy and believed-to-be reputable sources, with no idea they're complicit in perpetuating a lie. Thankfully, this isn't the 1950s anymore, and the power to fact-check many topics that were previously exclusive to the government with spy satellites and covert operations is now in the hands of the people. Today, anyone can find someone in Vladivostok and ask them to take a picture of a ship in front of them using their iPhone. It's a whole different world, and the public needs to aggressively fact-check the stories that are being fed to the media by both military and political factions worldwide. I would like everyone to fact-check the Canadians, fact-check the Russians, fact-check the Americans; fact-check every side. Publish your findings for everyone to read, with facts and references that can be checked. There is nothing more patriotic than proving to the world that your government isn't lying to you. But what if they are, and you expose it..? Well, that's not your fault, now is it? One of my least favourite pieces of propaganda is the rumour being spread that the Russian Navy AGOR Yantar is tapping and/or preparing to cut/detonate commercial telecom cables that stretch across the Atlantic. I didn't want to get into exactly how this came about, but "anonymous officials" have been less than truthful. I believe US Government leaked statements, through "anonymous" officials, about the ship being capable of cutting cables; the DoD was concerned about their secret military cables that run across the ocean to remote deployments and bases. Somewhere along the way, with or without help from "government officials", the media switched the narrative to direct focus toward commercial telecom cables. "The Internet", they said, was what Russia was after, all of a sudden. 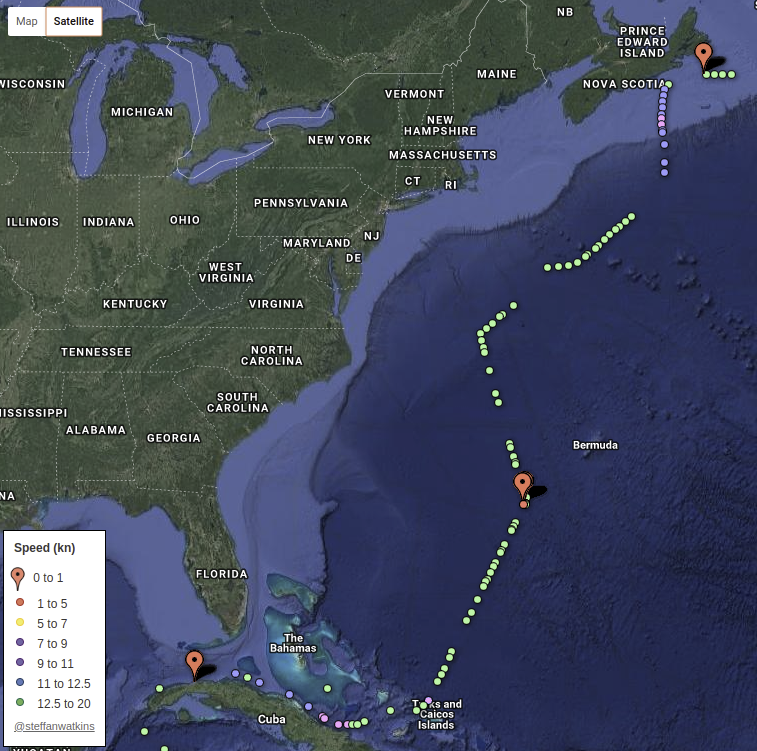 David E. Sanger and Eric Schmitt of the New York Times reported October 25th, 2015 that the Russian Navy AGOR Yantar "cruised slowly off the East Coast of the United States on its way to Cuba — where one major cable lands near the American naval station at Guantánamo Bay". "Off the East Coast" is a frequently used term, that is hugely subjective. Everyone has a different interpretation regarding what constitutes "off the coast". Legally, sovereign territorial waters extend only 12 nautical miles, and the EEZ extends 200 nautical miles; so where was Yantar? Until they approached Cuba at the end of their transit, their closest point was hundreds of miles away from the coast. Once again, government officials chose to mislead Mr Sanger and Mr Schmitt, rather than provide a verifiable number that could be fact-checked to give an illusion of their proximity to the US coast that simply didn't exist. Maybe the anonymous government officials didn't want to give the New York Times "Top Secret" US Navy intelligence about the ship's location, but... I just gave you a map. How did I do that? The Russian Navy vessel Yantar is a research vessel, classified as an AGOR, a relatively ordinary, but new and advanced, Russian Navy oceanographic research ship; and while ultimately I'm sure Yantar is doing more than looking for whales, their location isn't a secret to anyone outside The Pentagon. They're broadcasting their location both to AIS satellite based receivers, and terrestrial receivers, for the entire world to watch. They beacon their precise location frequently, every few minutes to local marine traffic over Marine VHF. Mr Sanger and Mr Schmitt correctly stated the vessel was headed to Havana, but they left fact-based reporting behind when they linked the Russian ship's movements to the Guantanamo Bay cable that comes ashore at the base in Guantanamo Bay. Yantar was never anywhere near Guantanamo Bay's cable demarcation point, or even the South side of Cuba, where Guantanamo Bay is, nor did they stop where the cable was expected to have been laid by USNS Zeus. I speculate this was either a misunderstanding, or deliberate misinformation being sewn by the "anonymous" government officials. Mr Sanger and Mr Schmitt continued and quoted US Navy Admiral Mark Ferguson, commander of US Naval Forces in Europe. -Russian Ships Near Data Cables Are Too Close for U.S. Comfort, New York Times, October 25, 2015. If those truisms sound familiar to you, I already went over how both the US Navy and Russian Navy have a symbiotic relationship regarding their bravado, threats, and posturing (here). In short; the Russians promote their successes, and the US increase their already ridiculous military budget to counter their claims, regardless of how hollow, validating the Russian Navy's ego, enabling further peacocking. It's true that the Russian Navy operations are at their highest since the Cold War. That's a truism because there were no submarine patrols when the Soviet Navy fell apart, and any number of patrols now is higher than none. "Intensity" of Russian submarine patrols is up "Almost" 50% the Admiral said in 2015. That's likely a reference to days at sea, which I explain in the previous blog post too, and we already know those numbers are, at best, 20% of Cold War levels, using declassified CIA data. See how that statement loses a lot of air when you un-cloak the numbers behind it? Over a month before the New York Times ran their much-quoted piece, seasoned journalist and senior editor of the Washington Free Beacon Bill Gertz published his bombshell piece September 3rd 2015, after being contacted by anonymous Pentagon officials about the same story. For unknown reasons there was no credit given to Mr Gertz in the New York Times piece, so let me review the truth (and un-truths) he was given by the Pentagon officials who were, evidently, trying to get the story out in the media. See map above; they could have been watching underwater transit routes to and from King's Bay, but they were (arguably) not "near" King's Bay as Mr Gertz' source stated; that's a stretch. Notice that the New York Times didn't mention reconnaissance of paths that US nuclear ballistic submarines transit in their piece over a month later? That's another very important statement the New York Times piece seemed to miss; they are gathering intelligence on US sensors; SOSUS's successors, IUSS, etc. That seems like the sort of thing any adversary would want to know; where are the hydrophone arrays? What new technology is being deployed to detect Russian submarines? "A major target of the program is the Department of Defense Information Network, known as DoDIN. Moscow is seeking to map the global information network that is vital for U.S. warfighters"
Again, it seems the New York Times piece, published over a month later, didn't want to re-publish that the Russian Navy vessel Yantar was reported by Pentagon officials to be looking for US military cables and sensors. Bill Gertz' original piece, over a month before the New York Times published basically the same story, doesn't mention the Russians coming over to attack the Internet at all, so I can't see where they got that idea, unless an anonymous official wasn't trying to distract them from the truth that Mr Gertz published over a month before. I understand that journalists do not want to accidentally become part of the story, but in my view, "the story" is now why the New York Times changed and omitted so much relevant information from Bill Gertz' original piece, published over a month before, about the exact same topic. I presume the New York Times reached out to Pentagon officials, to confirm the story, but Pentagon officials refused to confirm the most important details from The Washington Free Beacon's piece, so the New York Times didn't run those parts. They obviously read the piece on the exact same topic from their competing news outlet. Isn't it the original Washington Free Beacon piece we should be paying closer attention to, since it has the superset of information? I strongly suspect Bill Gertz was given a bonafied leak that the Pentagon didn't want out in the open. The NYT piece, even unknowingly, encourages speculation about "other" types of cables that aren't DoD related, and obscures the vulnerability of DoD undersea cable infrastructure that exists. I believe that's the crux of the whole issue; there's a vulnerability, the Russians know it, and they're mapping it out. All of the above came as a result of the inaugural voyage of Russian Navy AGOR Yantar during their initial shake-down in 2015, where their stated purpose was to test their equipment. Fast-forward to Summer 2016, when Yantar was operating for ~3 months in the Northern Atlantic and near the GIUK gap; which has provided several new interesting places to investigate. My analysis focuses on where the Yantar stops. Ships don't loiter in one spot in the middle of a sea or ocean for a day or two on a whim. You can realistically assume that if a ship, which was built for, and carries Russian Navy's most advanced deep sea equipment, is stationary for more than a few hours, that something of note is going on. While Yantar is equipped with lights for night-time work, when reviewing the data, time of day is important to determine if they have stopped somewhere and are waiting for first light before conducting operations. Using GPS-based AIS-data to try and guess what a ship is doing is just that; guessing. I could be wrong with my assessment of any of these locations, but these are my best guesses based on as much information I could find. If you have a better idea, lay it on me! While writing a piece for Jane's Intelligence Review I studied the entire 2015 tour (+more), and saw scant evidence that any of their stops were over commercial telecom cables, which throws shade on reports that the Yantar's movements are related to tapping or cutting commercial telecom cables. Did I mention those cables are already charted on nautical charts? They're already mapped and known to the shipping industry, in an effort to avoid them being caught by ships' anchors. On that alone people should realize the publicized "The Ruskies are coming for your Internet" story does not hold water. While Yantar is absolutely conducting operations on behalf of the GUGI, which is the department that would do deep sea covert operations. Any covert action would be done covertly with mini-subs, deployed from a stretched-submarine, that acts as a mothership - not Yantar - which is a big steel very-not-stealthy ship. I believe it's perfectly reasonable to believe the Yantar is tasked with reconnaissance to enable future undersea operations. Also, I don't think it's that hard for our military to tell the public those details flat out, rather than trying to make up excuses for why Yantar is an interesting ship to follow. 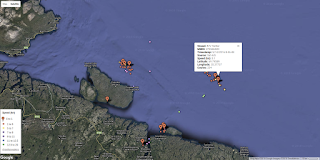 Using historical AIS-T (terrestrial) and AIS-S (satellite) data from MarineTraffic.com, we can see between May and July 2016 Yantar departed their home port in Olenya Guba|Оленья Губа and stopped in several places that were... interesting. At each of the big red push pins the Yantar came to a stop. The more pushpins around the spot they stopped, the more times an AIS signal from that location was received by a satellite overhead. The colour of the dots indicates how fast they were going. Several stops were made in the Barents Sea immediately outside Murmansk, and one of those was at a site where a Russian Navy submarine (K-159) was lost while being towed to be scrapped, with its two nuclear reactors aboard, killing 9 of the 10 member salvage team aboard the submarine. 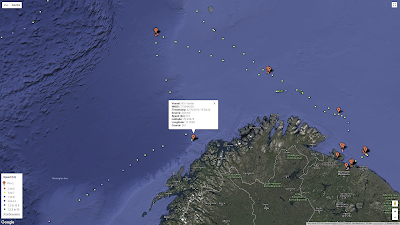 That story was reported by The Barents Observer here. The environmental survey / report is here. Close to the site of the Kursk disaster. They also stopped near the site of the ill-fated Kursk's destruction, despite it not being there anymore. Maybe looking for something they left behind? Were there pieces of the Kursk that were not recovered that they wanted to check in on? 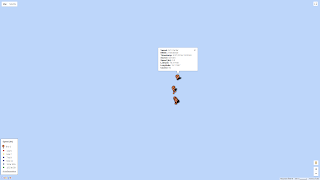 Vicinity of the German Battleship Scharnhorst? 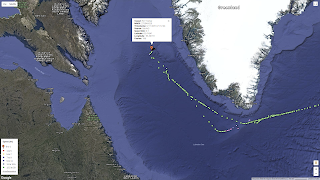 Around 2016-06-23 Yantar slowed and may have stopped around 71.9814, 26.96789, which is closer to the wreck of the German Battleship Scharnhorst's official position than the other spot to the NW where they stopped on their way out. There are no indications the two locations are related, but the only item of note in the area that I know of is the Battleship. If it isn't related, then it could be a military undersea cable or sensor, but neither are mapped, suggesting they are not commercially owned. Off the Northern coast of continental Norway, this area is composed of sand, clay, and stone, with a depth of around 800-900ft. There are no known cables or wrecks that I was able to find mentioned. The closest bathymetric survey was a German, somewhat nearby, in 1993 (M26-2). I'm pretty confident it isn't anything pipeline, gas line, or telecom cable related. The Southern tip of Svalbard, Norway, showing the area the Russian Navy Yantar stopped and examined. Nothing charted. Three distinct places where Yantar had stopped and hovered. 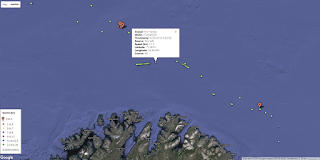 Between 2016-05-27 and 2016-05-28 ~76.31613, 15.17415 Yantar stopped just outside Norwegian territorial waters, off the Southern tip of Svalbard, and concentrating on three distinct sites; what was it they were focused on? 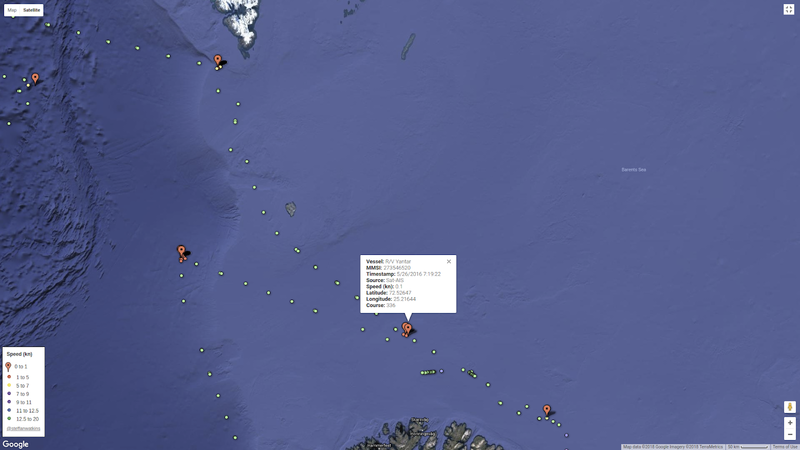 The depth is around 900ft/275m at those locations. There are no wrecks, cables, pipelines, or geological features there that I could find any reference to. I can find nothing note worthy to stop and look at, but they most certainly didn't stop for a "swimex". As the nautical chart shows, no remarkable undersea features are known to be there. NATO comms cable? Cable running to an undersea sensor? Maybe undersea sensors themselves? I don't know. This is selection by elimination. 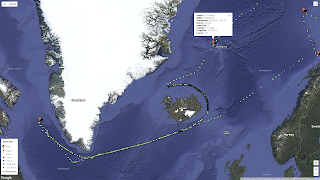 Yantar then moved over to the middle of the Fram Strait between Norway and Greenland(Denmark); the very middle. Same story. Granted, the three sources of nautical charts I have on hand don't have a lot of data in that area, but there is nothing that suggests a commercial telecom cable would be in that area, or gas line, or any civilian infrastructure, obstruction, or geological feature. However, that location is in the middle of a choke point, and would be a perfect place to put a sensor; hydrophone or otherwise. 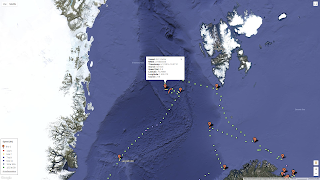 Can I prove there is a hydrophone array between Svalbard and Greenland? Of course not. If it isn't a sensor of some kind, what was it? Secret cables? A wreck, or three? 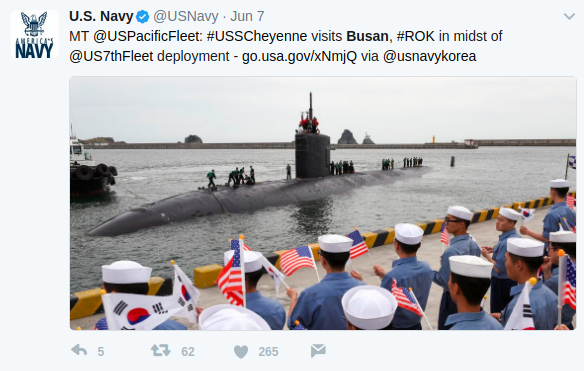 At least 3 of their other stops were in proximity to sunken nuclear subs, so I wonder, what submarine losses could have happened covertly? Could these be older wrecks? Could they have been looking for some good crab fishing while they were in the neighbourhood? They stopped at at least three locations in the same vicinity, and travelled in slow deliberate lines. I believe the red dotted line we're seeing is a search for a cable, rather than a geographically known single point or object, like a sensor or wreck. Cables have a little play and travel, since they get pulled up to be repaired and laid down more or less in the same place again. Let me use an analogy for the search that explains why the pattern of movement is important; If you had a carpeted living room, with an extension cord hidden in the pile of the carpet, you could walk barefoot where you believe the extension cord is, and find where it is with your toes. To find the cable quickest, you'd walk perpendicular to the cable's presumed direction. 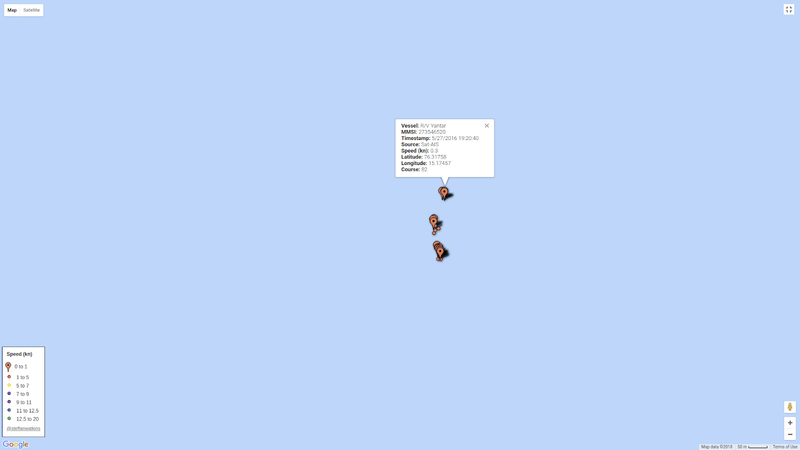 At least, that's what I think that's what we're seeing from the transponder's path. Notice the line of red dots, and the crescent of red dots? It was not a full criss-cross zig-zag like a search pattern for something lost on the bottom. I believe they are looking for multiple undersea cables that are not charted. I suspect they know cables go from A to B, and are therefore searching in a perpendicular line to the cable's run, in the vicinity they expect the cable. Hopefully that makes sense without a better graphic to explain it. Compared with the pushpins where the Yantar went directly to a location, and seemed to stop over something, it seems like they're doing more of a sweeping search path for something at those three pushpins in the trench on the map. 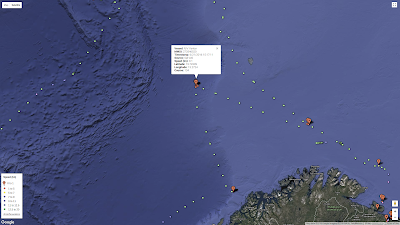 Jan Mayen is a Norwegian island in the Arctic Ocean, but I do not know if it has a current military significance, like providing power for local hydrophones or sensors, but the Yantar stopped on 2016-06-04 at ~71.1265, -10.5407, which is only ~60km from land, and seems to be northeast and very close to a significant sea mount that raises the depth from thousands of feet to only hundreds. Rumour has it hydrophones were positioned in geographically favourable positions for their acoustics. Mounts, cliffs, etc. were reportedly used to position hydrophones at the correct depth to get the best acoustic "view". While it's complete conjecture, it is interesting that NE would be the direction you'd expect Russian submarines to be coming from. where conventional wisdom would put a hydrophone. Iceland is one of the founding nations of NATO, and critical to the security of the North Atlantic. 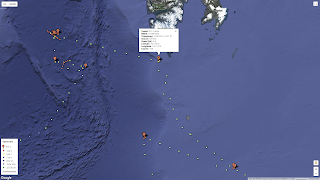 At least one set of SOSUS hydrophones was placed NW of the island, and at least one set was placed SE of the island, according to Soviet Navy sources. 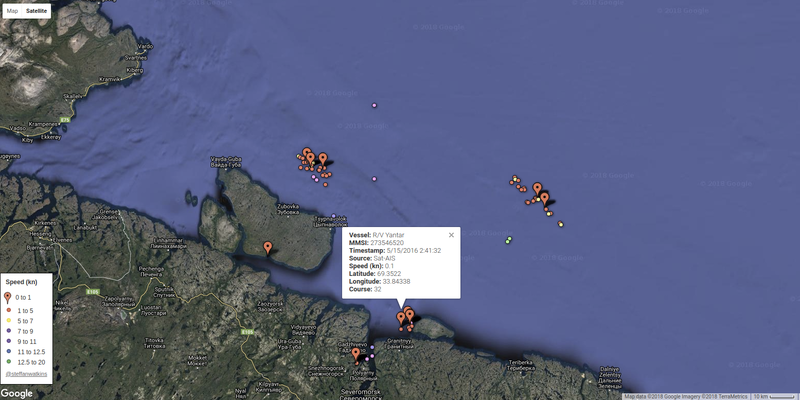 Iceland is an island (in case you're unfamiliar with it) and Yantar slowed down and stopped on opposite sides of the island, seeming taking an interest in the NE shore, the shore that faces where Russian Navy subs might potentially be coming from, over the top of Norway. 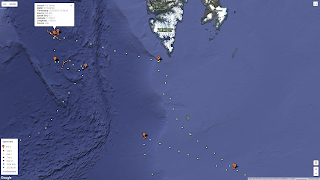 The places they stopped were locations between Iceland, Greenland, and continental Europe; almost like a fence. 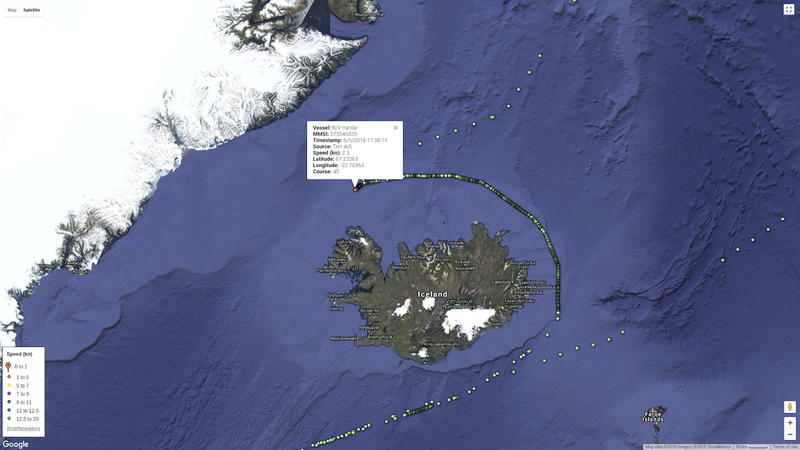 At the NW side of Iceland they slowed and eventually stopped over an area again ~800-900ft in depth. I'm getting the impression the depth of the water is significant to this investigation. a great spot for a hydrophone or sensor? After Iceland, the next stop was getting close to home. 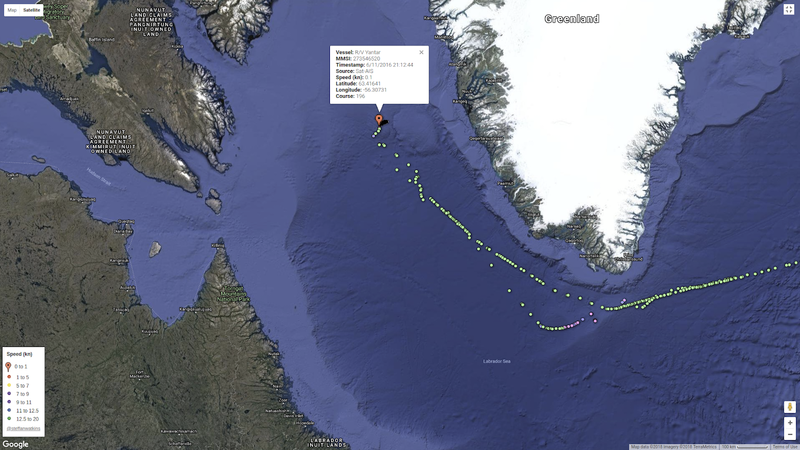 Yantar stopped over the Davis Sill; a rise between the Davis Strait and the Labrador Sea, that arguably forces deeply submerged submarines closer to the surface, or sail closer to the bottom, depending how you look at it. This is both a pinch-point, and a location of reduced depth; perfect for identification of submerged submarine using hydrophones, or other sensors. IMO. However, they stopped over a spot which had a depth of ~1400m, but no bathymetric surveys seem to have been done at that exact point, so I'm unsure if there could be a sea mount making the depth less than the surrounding area. Pure speculation. What's in the middle of the Davis Strait that the Russian Navy sailed all the way there to check out? They're a long way from home, and it's undeniably specific; that was no "while we're here" pit-stop. 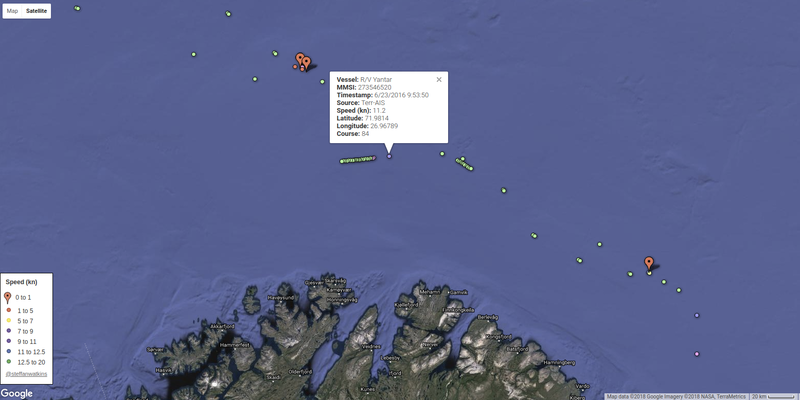 Historically they are very close to a former Cold War sub-hunting base on the West coast of Greenland. It would be an excellent place to put a sensor, I'd think. 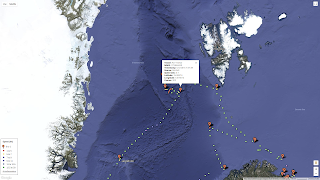 On the way back from the Davis Strait, Yantar stopped in the Norwegian EEZ, where there is a sandy bottom and a depth of ~820ft. I can't see any significance to this location; no cables, wrecks, etc. Finally, something I can put my finger on. They stopped at the location of the Soviet Navy Mike-Class Submarine K-278 Komsomolets, a known wreck that still may have two nuclear torpedoes, if the Americans haven't stolen them, and a fueled reactor. From what I read, the Norwegians are quite concerned with this wreck, and regular surveys are performed by environmental agencies. 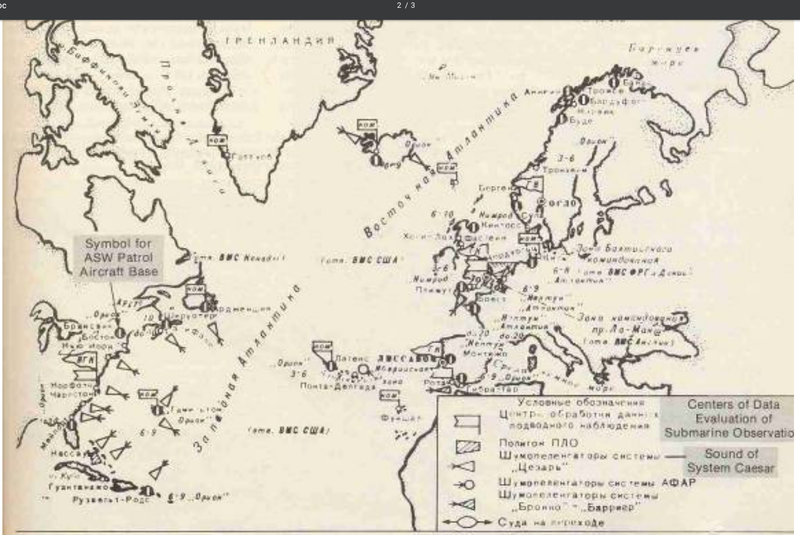 I understand that the US Navy, NORAD, and NATO are rather sensitive about publishing where they put their undersea sub-hunting sensors, so I thought... what about the Soviets? Thankfully, there's a lot of expertise out there, and a lot of old documentation from the Cold War that the "Soviets" don't really care about anymore. One such graphic has shown up via two online sources, but I'm very interested in finding the original (for a better scan) or to find more Soviet Navy intelligence files regarding NATO SOSUS/IUSS sensor locations. Why? Because things don't change. From my experience, a mountain top today is just as high and has just as good a view for a long range radar as it did 50 years ago; applying the same idea to the ocean, I would think an old fashioned SOSUS hydrophone array might be obsolete now, but they were all positioned in geographically advantageous positions; I expect those places would be re-used for new sensor systems, which is why I'd like to monitor them for surface activity going forward. Better still, I don't think I'm alone in this pursuit; I'll continue to monitor Russian Navy auxiliary movements and see if they give away the locations of cables or sensor networks, as suggested by their stops at otherwise uninteresting spots. Ultimately this circles back to the stories that are being told in the media about Yantar's purpose, claims that it's after telecom cables, that it's after the internet, that the Russians are going to cut the internet and destroy the financial markets. None of the places Yantar stopped stopped in the Summer of 2016 has any connection to the internet or telecom cables. While Yantar could cut cables with the claws of its ROV, it's an overt vessel, and ill-suited for covert operations - cable cutting or tapping would both be covert operations. Yantar's pattern of movement and operations show no signs that they're targeting telecom cables. I believe strongly that they are conducting underwater reconnaissance; helping allies like Iran and Syria with their cable issues, surveying NATO sensor arrays, surveying covert secret cables that are lying around the ocean's floor, checking on lost nuclear weapons on the ocean's bottom, etc. If you still think Yantar is looking for telecom cables, The Internet, I challenge you to go back and read the quotes from the NATO/NORAD/DoD/USNavy sources to do with the Yantar specifically, and pay particular attention when they speak of Yantar and cables. No military source mentions commercial telecom cables; they all mention cables (wink wink, military cables), and they mention communications (wink wink, NATO/DoD comms), but they do not mention the Internet. The internet story is something the New York Times published in October of 2015, and as far as I understand, misunderstood from the get-go, or were deliberately misled by officials who wanted to cover up what Bill Gertz' article revealed. 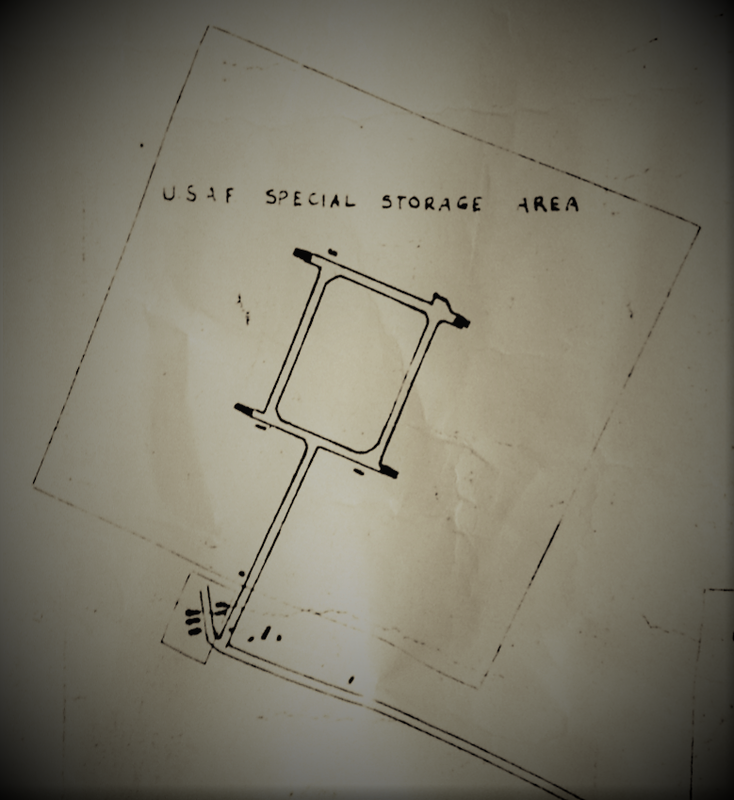 The September 2015 leak by Pentagon sources to the Washington Free Beacon said nothing about "internet" cables, but did speak of the threat to Secret DoD cables, which makes the earlier article more reputable and accurate. I could not have done this analysis without the help of MarineTraffic.com, and I am very appreciative of the help they have provided. Thank you.